Experience the stunning 5.6 inch edge-to-edge display on the Huawei P20 Lite, and enjoy HD entertainment without borders. Also on board is an impressive 16MP camera and efficient octa-core processor. £408 total cost over 2 years What's This? Both stylish and durable, the Huawei P20 Lite combines a sturdy metal frame with a hardened glass body that’s both smooth and comfortable to hold. It also offers easy access to all ports and functions, such as the conveniently placed fingerprint scanner located to the rear of the device. Stretching edge-to-edge on the front of the handset is a stunning 5.84 inch FHD+ display. 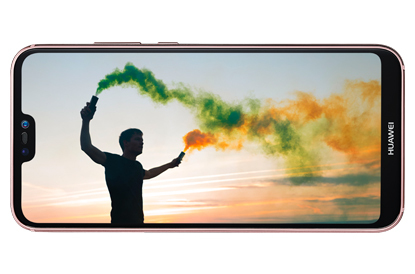 You’ll be able to enjoy all your favourite content with crystal clear playback, boasting brilliant colours and high contrast that bring all your favourite movies, games and videos to life. 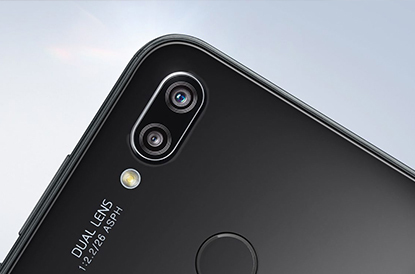 The real talking point of the Huawei P20 Lite is its impressive 16MP dual camera, which is ready to take your photography to the next level. Featuring a wide aperture and dedicated bokeh lens, you’ll snap professional looking photos, even in low light. There’s a secondary 16MP camera also on board, which uses light fusion technology to ensure your selfies are both bright and clear. Have further fun with your photos, with a range of augmented reality stickers to ensure every self-portrait is social-media ready. Experience a smooth user experience that won’t slow down over time, with the Huawei P20 Lite. Powered by a Kirin 659 octa-core processor and 4GB RAM behind the scenes, this handset promises exceptional speed and performance for longer. Elsewhere, The Huawei P20 offers a 3400 mAh battery that will keep you connected throughout the day. 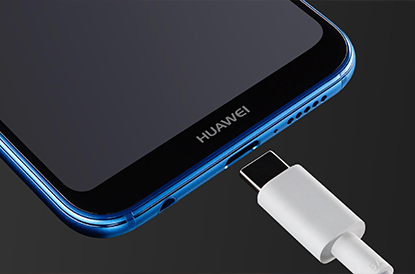 This along with Huawei’s own SuperCharge technology that allows for fast changing times, mean you can juice up and get going in a hurry. Nice phone very light and responsive. 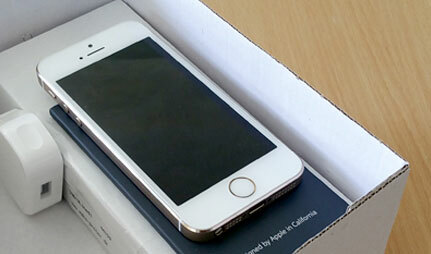 Had to upgrade early, from my ailing Moto X Style. Found the P20 Lite online, &amp; I'm very happy with it. Love the fingerprint &amp; face recognition features. Also the 4 GB of memory, &amp; 64 GB of internal storage, plus up to 256 GB on an SD card. I am really pleased with my choice as it clearly is as good as proposed.